When the health of a tree outside of your home has declined, there may not be much you can do to save it. In situations like these, it’s important to have a professional come by to provide tree cutting services. They will assess the health to determine the right course of action. If they feel that the tree should be cut down, then they will use their powerful equipment and experience to do so. This help can make your life easier and ensure the tree is cut down safely. If you have noticed a tree on your property that is overgrown, then having it trimmed and cut will be necessary. In fact, this will ensure that its health is kept in check and you don’t end up with a huge hazard in your yard. When you hire someone to provide tree cutting services, you’ll find that you don’t have to worry about whether or not your trees are being kept in good shape. You’ll also know that you have someone to rely on to provide you with quality services anytime you need them. Last but not least, professional tree cutting services will help keep any dead trees off of your property so they don’t become fire hazards on your property. 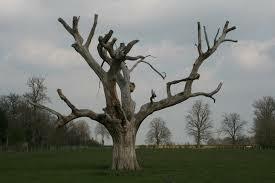 If you have trees that need to be removed, call Case Mountain Tree Service today.